Create Your Taste or CYT is a new concept that enables customers to order from a huge tablet kiosk where they can customize everything from buns, cheese to veggies and sauces. 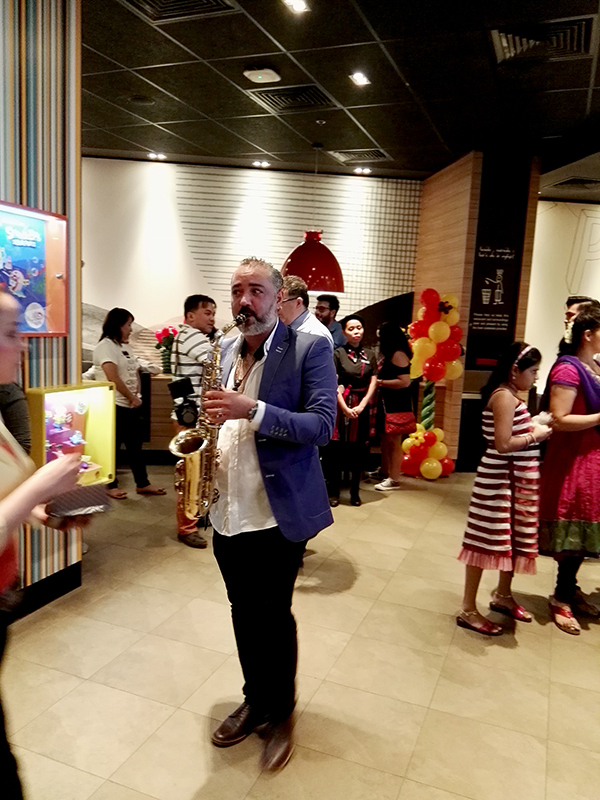 We had fun doing it for the first time last night at the launch in McDonalds oldest store in the UAE - Al Ghurair Centre. The branch had an obvious facelift too which makes it more vibrant and inviting. They also added a new McCafe corner. 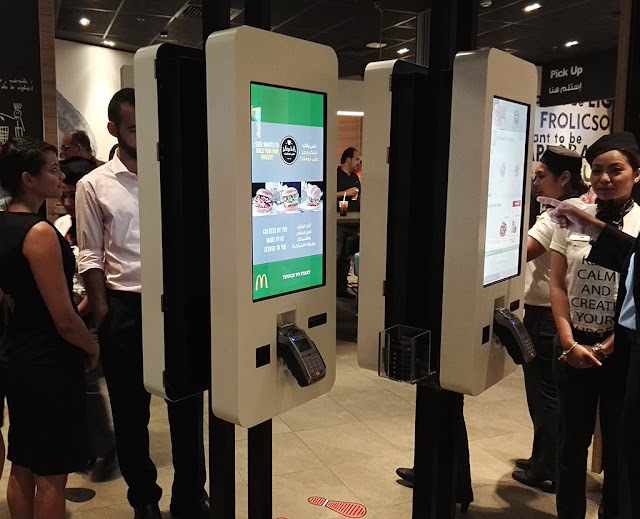 Using one of the 4 electronic kiosks stationed at the entrance of the store, I ordered a customized burger meal to try. It took me only about 3 minutes to complete my first order. It could understandably take longer for new users because of the unfamiliarity and curiosity - they have to look closely at the many options available. Many customers can also really be creative a.k.a. "choosy". First, I selected a bakery style roll bun. Other options are artisan roll and lettuce bun. Then I added a single halal angus beef patty. In future chicken patties will be included in options. Next, I chose Swiss cheese (natural) from the choices which includes American, pepper jack and gouda cheese. From the add-ons menu, I selected guacamole, grilled mushrooms and halal beef bacon. Grilled onions, grilled pineapple and tortilla strips are also available. Lettuce leaves, red onions, cucumber slices are my selection. Tomato elongated pickles and jalapenos are also on the choices. I had their signature smoky big tasty sauce. Other options are ketchup, big mac special sauce, mustard, chipotle bbq sauce, spicy, creamy garlic and mayonnaise. 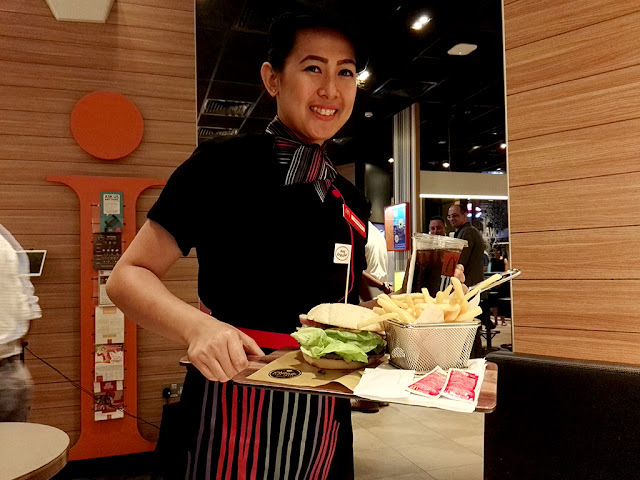 Cost depends on one's choice but it could range from 25-60 dirhams per single burger meal. 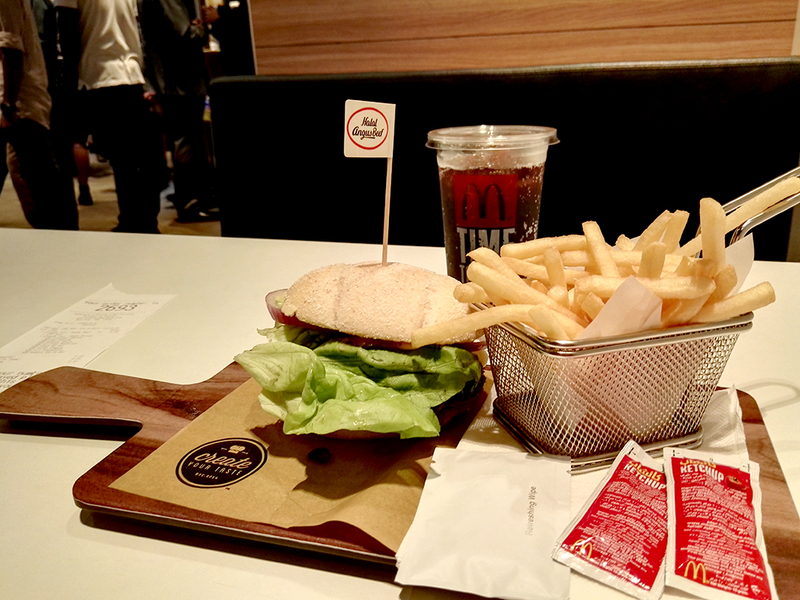 Customers can also add other menu items in an order, like Happy Meal, desserts and even cafe latte too. There's an option to pay by cash or card. After payment confirmation, the kiosk prints out a coupon which I had to bring to the cashier. Then I was handed a "coaster caller" (or pager) but not for me to be notified when my order is ready, but for my table location to get tracked. Apparently, the tables are outfitted with GPS and my order will be served after 5-8 minutes of preparation in a customized kitchen. Premium! 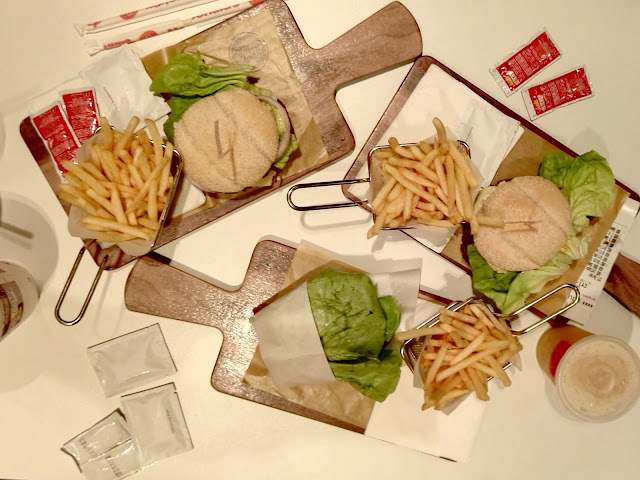 And indeed, my order arrived not in a fast food tray but in a glossy wooden board, open-faced, and the fries in cue "strainer(?)". Gourmet burger it is. Cool! Sarap! Widening eyes as I had my first bite, slowly nodding my head for approval, munching the crispy red onions, fresh lettuce and juicy mushrooms, and the very flavorful saucy angus beef... Iba to! This is different! Solved! Overall, it was a fun experience. Something new to try, something simple to enjoy. There are minor user experience issues in the CYT kiosk design. The left sidebar which has the menu for other items is lacking prominence. The step-by-step instructions also needs better position. The current items in the cart is quite lost in the basic eye movements. But I believe these can be addressed in no time. Good thing, there are service crews that assist the customers. CYT has first launched in California this year. 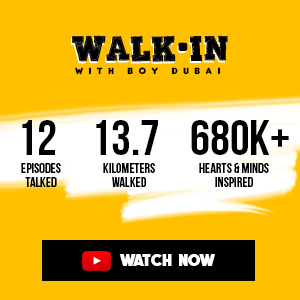 In UAE, it is currently available in Al Ghurair branch only, but soon will eventually be rolled out in other McDonalds in the country . Sax player at McDonalds? Why not... I'm lovin' it! Thank you McDo for the invitation.